Daily Dzynmkr: Finally...back to art! Your eyes DO NOT deceive you! 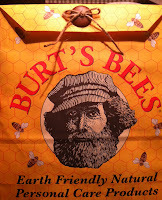 I AM posting on my blog after months of being gone. I'm happy to report, I have survived a 3/4 month-long home renovation project and am now getting back to the thing I love most - ART! For those that don't know...I swap mail art with a few ladies I have met along the way. 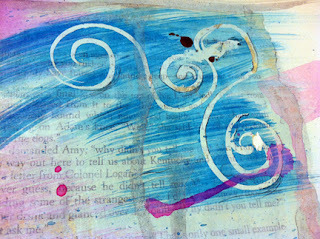 Mostly through the Sketchbook Project and Twitter. If you are not familiar with a mail art swap, it is an exchange of at least one handmade art piece and a collection of other items. As time goes on, you get to know the other person's interests, etc and it becomes WAY more personal. Kind of like an inside joke between friends (except with art). 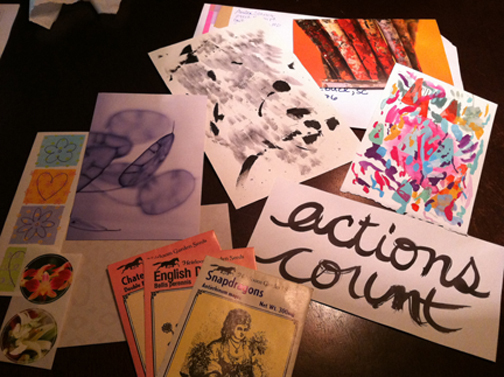 Anika Starmer contacted me recently asking if I was still interested in one of her pieces and a mail art swap. My immediate reaction was HELL YEAH! (and then I politely sent her an email back expressing my interest and provided my address). Above is the lovely package she sent me. I was a little anxious about what I should send back. I have tremendous respect for her work ethic and art in general. I decided to let my imagination run wild (and my mediums) and see what the end result was. A few "happy accidents" happened along the way. 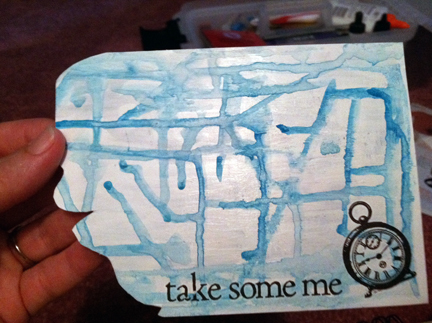 I added Elmer's glue in a pattern on the page and painted around/over it with other mediums. Apparently, the glue wasn't dry and I smeared it. While trying to rub the mess away, the glue peeled back. I was able to remove the glue and leave a "resist" of what was underneath. I also found a page where I "played" with a potato stamp. I added a rubbing of a pair of glasses and wrote the definition of Vision (the act or power of sensing with the eyes) off to the side. It seemed fitting since Anika wears glasses and she has the "vision" of an artist. 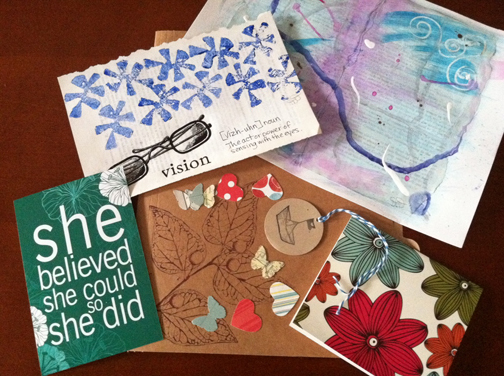 Anika seemed pleased with her return package and I am glad to have such a talented friend to swap mail art with! My equally talented and VERY patient friend, Saylor Made, has been waiting on a return package from me for quite a while. It goes without saying I wanted it to be special. 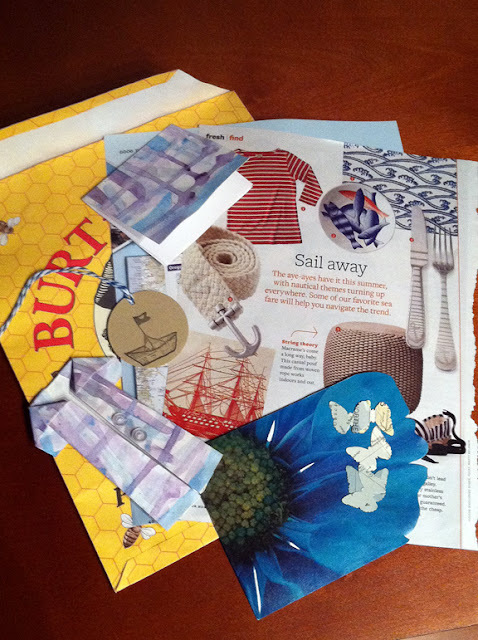 I included a couple of magazine pages with map/sailor/nautical-inspired items on them, confetti butterflies made from a map, a paper boat gift tag, a blue flower card with a reminder on the back and an origami rain coat to weather life's storms with. 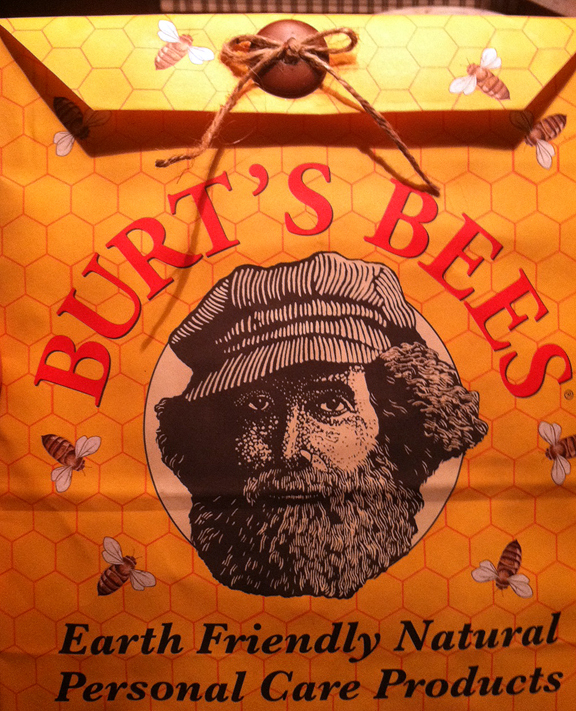 I put all of these items into an envelop made from a Burt's Bees gift bag and attached a natural button with velcro on the back. Jeannine seemed very impressed with the envelop and extremely happy with her package. I hope it was well worth the wait I put her through. Well, it's good to be back on the blog and to be making art again. Until next time - Happy Labor Day and send some one you care about something in the mail...I promise, it will make their day! I loved my package! I hope you can be just as patient with me as I take a few more weeks to get used to our new routine before getting back into mail art.